A processor is a business registered with UOMA PE to process products governed by the Regulation. 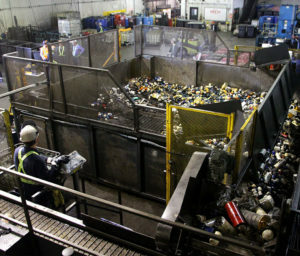 Processing means an activity for reuse, recycling, including biological treatment, any other operation whereby residual materials are processed for use as substitutes for raw materials, and energy recovery recognized by the Department of Communities, Land and Environment Prince Edward Island, or any other activity authorized by the Department of Communities, Land and Environment Prince Edward Island that involves cleaning, decontaminating or declassifying products as hazardous residual materials. 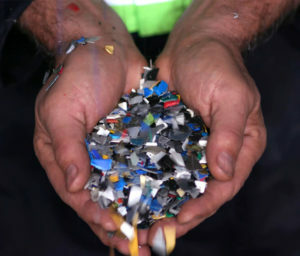 Bulking, shredding and bundling are not considered processing activities. What documentation do I need to complete in order to register as a UOMA PE processor? UOMA PE will examine the documents received and if all is in order, UOMA PE will send to the registrant their registration certificate along with a copy of their processors agreement signed by UOMA PE. All processors are displayed on UOMA PE’s website. In the case of a registration for an internal collector-processor, UOMA PE requires all of the documents required for a collector registration AND all those for the processor registration. Which documents are you required to complete to renew your registration as a UOMA PE processor? IT IS VERY IMPORTANT to read the Communiqués from the PROCESSOR section, those communiqués have already been sent to all processors, they are additional information to the content found in the Processor agreement.